The United States had earlier asked Pakistan to avoid military action and take meaningful action against the terrorist group operating on its soil. 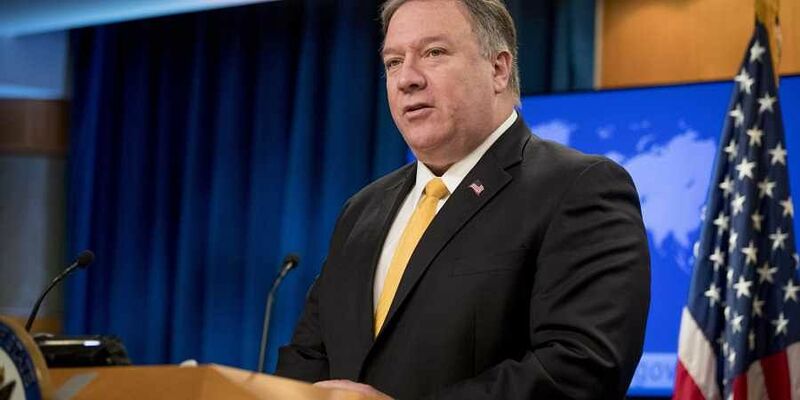 NEW DELHI: National Security Advisor Ajit Doval and US Secretary of State Mike Pompeo had a telephonic conversation late on Wednesday night, where the latter asserted that the US supports India’s decision to take action against Jaish-e-Mohammed terror camp on Pakistani soil," sources said. "NSA Ajit Doval and US Secretary of State Mike Pompeo had a telephonic conversation late Wednesday night, Pompeo said that the US supported India’s decision to take action against JeM terror camp on Pakistani soil," sources told ANI. A day after India carried out aerial strikes on a JeM camp in Balakot in Pakistan in which a "large number" of terrorists were killed, Jammu and Kashmir saw heightened military activity on Wednesday, with Pakistani jets violating the Indian air space and dropping some bombs in Rajouri sector after which one of their fighters was shot down. Following Pakistan's action, India said it foiled an attempt by Pakistan Air Force to carry out strikes in Jammu and Kashmir by shooting down an F-16 fighter plane while losing its own MiG-21 jet after which a pilot was “missing in action”. Pakistan later claimed that the Indian pilot was in its custody. Following the development, India strongly objected to Pakistan’s vulgar display of an injured personnel of the Indian Air Force in violation of all norms of International Humanitarian Law and the Geneva Convention. MEA in a strongly worded statement yesterday said, "It was made clear that Pakistan would be well advised to ensure that no harm comes to the Indian defence personnel in its custody. India also expects his immediate and safe return." It is worth mentioning that after Indian Air Force carried out multiple aerial strikes at terror launch pads in Pakistan Occupied Kashmir on Tuesday, the United States had asked Pakistan to avoid military action and take meaningful action against the terrorist group operating on its soil. "I spoke to Pakistani Foreign Minister Qureshi to underscore the priority of de-escalating current tensions by avoiding military action, and the urgency of Pakistan taking meaningful action against terrorist groups operating on its soil," read the statement from Secretary Pompeo. Acknowledging Indian actions as "counter-terrorism" action, the US Secretary of State said, "Following Indian counter-terrorism actions on February 26, I spoke with Indian Minister of External Affairs Swaraj to emphasize our close security partnership and shared the goal of maintaining peace and security in the region," read the statement. "I expressed to both the Ministers that we encourage India and Pakistan to exercise restraint and avoid escalation at any cost. I also encouraged both Ministers to prioritize direct communication and avoid any further military activity," it read.